We’re all familiar with the most disturbing recent trend of Hollywood, where studios insist on ruining everyone’s childhood memories with second-rate reboots of great films. The worst offender of the last few years was Charlie And The Chocolate Factory, and now there’s even talk of a Jumanji reboot. If that didn’t make you shudder, then the most recent candidate will certainly have many children of the ’80s, and all horror/comedy fans, furiously demanding that production is stopped before it begins. 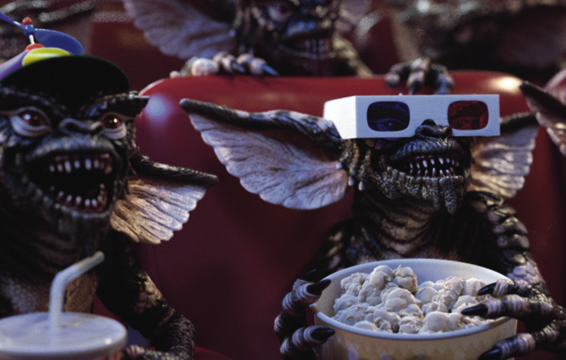 That’s right, Warner Bros. is looking to reboot Gremlins. The studio is currently negotiating with Steven Spielberg’s Amblin Entertainment to reboot the 1984 horror/comedy classic. For those who don’t remember, Spielberg produced the original film and Joe Dante directed. Thankfully, this can still be viewed as only a maybe considering a deal still isn’t done and a reboot of the film has been battered around for years, however, it’s reportedly much closer to reality this time around. Dante told The Playlist in 2010 that while he wouldn’t be making Gremlins 3, the franchise is too valuable for it to not be rebooted at some point. In the long run, a good amount of Hollywood decisions are going to be made with financial motives, but that doesn’t mean that everything needs a reboot. I suppose the perpetual recycling of Hollywood’s material is an inevitability that we’ll just have to learn to accept, but I really wish they’d stick to remaking films that had potential but didn’t turn out as well. I don’t see any reason that Gremlins has to be remade. Sure, the technology doesn’t hold up by today’s standards, but that’s part of the movie’s charm. Please never let this reboot be exposed to sunlight. What do you think about a Gremlins reboot? Are you as opposed as I am or is it something you’d want to see? Share your thoughts in the comments section below.